All the cold weather makes for cozy, curl up and sew time. 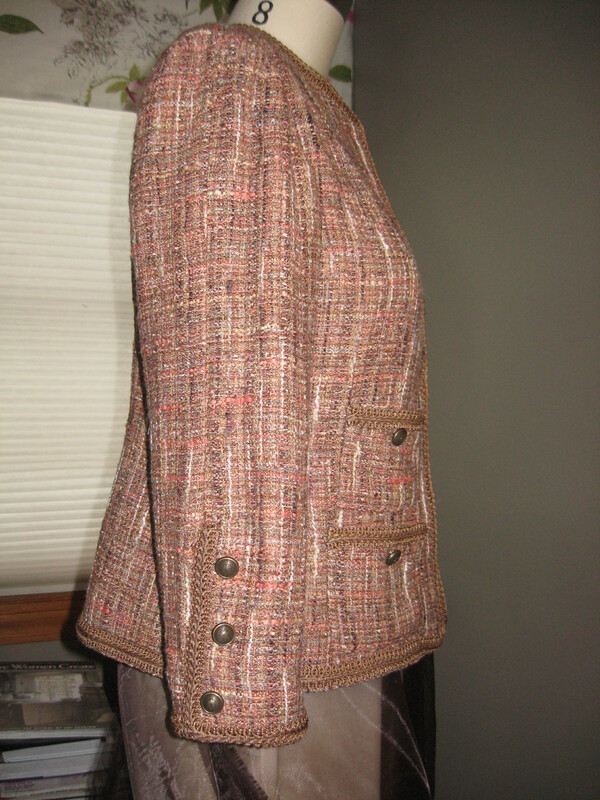 The hand sewing to finish the jacket is a great winter time project. I really appreciate the helpful staff at Haberman Fabrics for the button selection assistance. The jacket feels great on and I was looking forward to wearing it with a couple of dresses that pull out the different colors, but they might be a little lightweight for the current temperatures. Checking my stash I found a piece of camel wool and my first dress of 2014 is in process. I’ve joined the Ready to Wear Fast with Goodbye Valentino. I’m also looking for a new camera, as the goal of improving my photos is high on my list. Congratulations! It looks fabulous! It will look wnderful with this camle colour dress. I still have to buy and attach a chain. 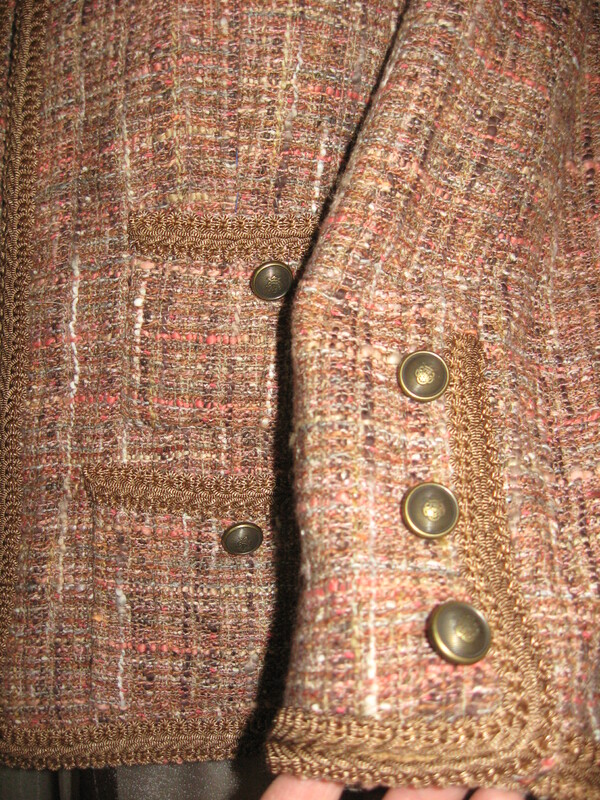 I saw your photos on flicker, love the fabric, trim and buttons. 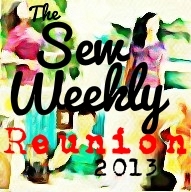 Thank you, the sew-a-long was fun to do and kept me motivated. Thanks for posting the information. Thanks. My goal for this coming weekend is to find a new camera. Maybe I can get the dress finished and do some better photos. 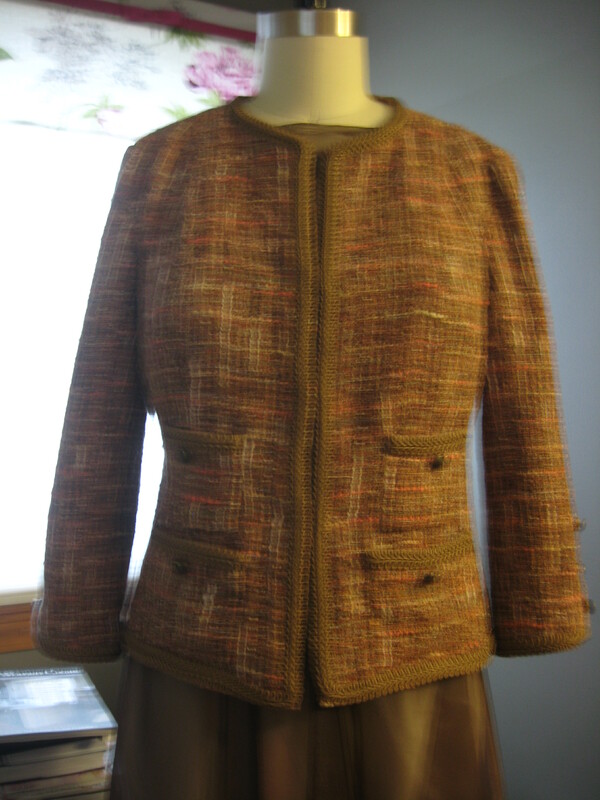 Gorgeous jacket and yes winter time is the best time for all the hand sewing!